The interior design of many of our most treasured country houses in many ways reflects the characteristics of the English themselves. Restrained, understated, subtle and, occasionally, elegant. These are all traits the Artichoke design team tries to inject into the kitchens and furniture we design for our client’s country houses. Many of these attributes are successfully delivered through the physical form of the furniture we design, such as the period mouldings we create for each piece, the width of the door frames we design and the proportion of the furniture. Achieving elegance through form can quickly be tarnished if the materials then chosen to adorn it are not well considered. Carrara marble grain. Understated and elegant. 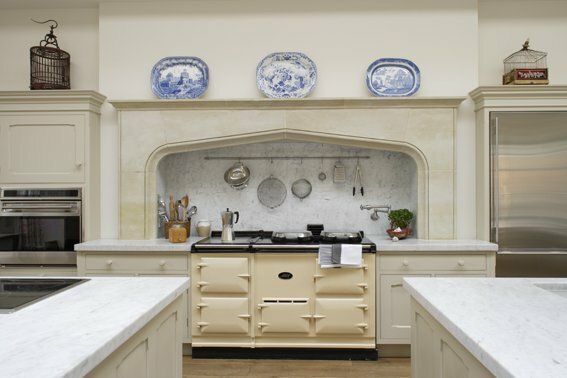 Our view here at Artichoke is that if a designer creates beautifully detailed kitchen furniture, very little else needs then to be added to detract from it. This is particularly so with classical furniture where mouldings and shadow inject a wonderful flow and ripple into the face of the work. Contemporary kitchens are so often adorned with striking and flamboyant marbles because the furniture itself has little creative substance to it. By introducing a bold patterned marble, the designer is simply deflecting attention away from the fact the furniture is principally flat and lifeless. It is inevitable that as designers and makers of kitchens and domestic areas of country houses, we have a view on which marble worktops look most appropriate in traditional environments. Despite our work being principally in English country houses, we tend not to suggest English stones for many of our kitchen worktops. While many of them are extremely hard wearing (such as slates available from Lancashire), few of them can be used for pieces such as cook’s tables or islands. This is mainly due to the nature of their extraction from the rock bed. Most English stones are blasted from the quarry face with explosives, resulting in eccentric sized blocks usually no wider than two metres. By contrast, marble slabs are cut from the quarry face in huge rectangular blocks, allowing for a much greater size of slab (typically up to three metres in length). This makes marble much more practical to use in kitchen design. We explore which stones perform best for kitchen worktops in another blog ‘Ideas for Kitchen Worktops’. Honed Carrara Marble worktops and backsplash form an understated background to this Artichoke kitchen. In the Georgian and Edwardian periods of English architecture, Carrara was the favoured marble of choice. Not only was it readily available, but its quiet and understated graining also reflected the characteristics of the English themselves. 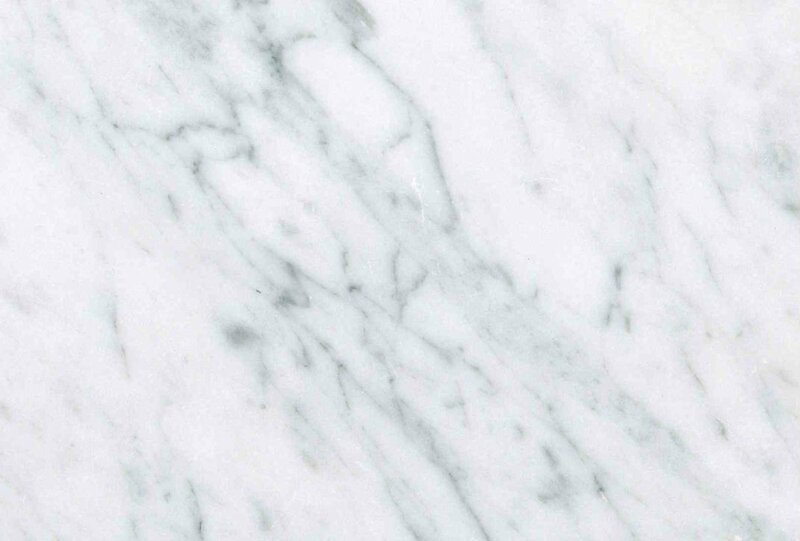 It is luxurious without being opulent and it has a more understated veining compared to other more ‘vulgar’ marbles. It can be seen in many of England’s finest country houses such as Chatsworth. Marble Arch is built from Carrara. It has been described as the elegant workhorse of the kitchen, and it ages beautifully. From a longevity point of view, Carrara marble is also timeless. This works well with our designs which we create to sit comfortably and elegantly into their architectural surroundings for many years. If we are to create furniture today that will be admired by future generations (in much the same way that today we admire work created in houses like Chatsworth), then it is worth remembering Carrara for your project.